If you need proof that the world is beautiful and miracles can indeed happen, look no further. The SegaSonic Popcorn Shop has been dumped and will soon be emulatable in MAME! 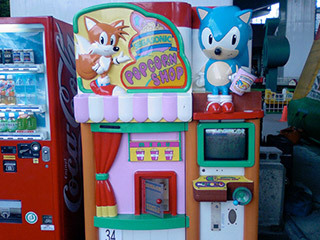 As the name implies, this is a Sonic-themed popcorn machine complete with a little video screen, released in Japan in 1993. The machine has a crank that you can turn for a little bit of interactivity while you wait. In this case, you have to help Sonic get away from a prancing Eggman who is trying to crush him (and your popcorn!!) with a giant mallet. Then you help Sonic actually cook your popcorn...? Of course, you'll still get it whether you actually touch anything or not. Unfortunately, while you can emulate software, you cannot emulate actual food. Recently, another obscure Japanese Sonic arcade rarity was dumped and preserved -- Waku Waku Sonic Patrol Car. Essentially a glorified kiddy ride, Sonic drives around in a police car and obeys the laws of the road. Fun! Yeah, you read that right. In an announcement that came completely out of left field, Sega revealed that the (formerly) Wii U exclusive Sonic Lost World will be launching on Steam on November 2nd. The Nightmare DLC will also be included. It's probably safe to assume the Zelda and Yoshi themed DLC won't be. The game will sell for $30 and is up for pre-purchase now. 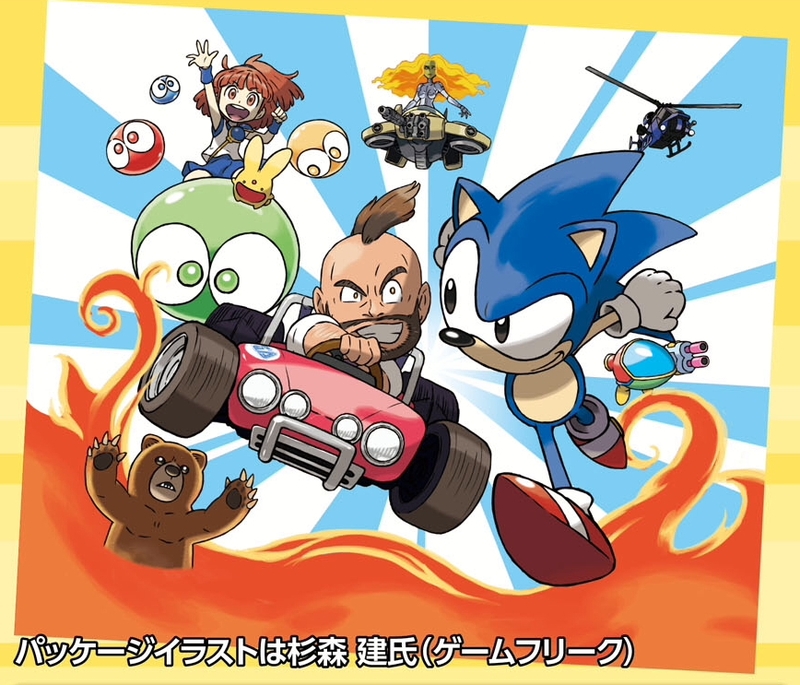 Pre-purchasers also get a free copy of Sonic & All-Stars Racing Transformed (which is pretty much one of the greatest kart racers ever, y'know). So if you're not interested in Lost World, this hopefully means more Sega-published classics will be coming to PC soonish. Like maybe Jet Set Radio Future, Shenmue, Virtual-On, Vanquish, Bayonetta, Rez HD, Guardian Heroes HD... or maybe Sonic 2006. Well, you never know. Like the first collection, the cover art was drawn by Pokémon artist Ken Sugimori. The mosaic is obscuring some ~mystery character(s)~ for games yet to be announced. Who could it be...?!? And also like the first collection, there's probably not a very good chance it will be released outside Japan. And because of the 3DS's region locking, it won't be import friendly either. Thanks, Obama Nintendo. But (most) of the games in these collections do get western releases on the eShop. 3D Sonic the Hedgehog is available now, with Sonic 2 coming around the bend. UPDATE: Heeey, the full cover was revealed, along with more info. Four more previously-unannounced games were shown to be included. Will they be exclusive to this collection? Well, probably the Master System games at least. Have you managed to get your hands on a Sonic amiibo? 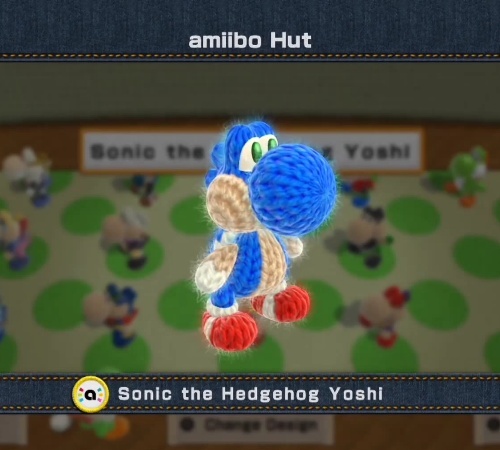 Have you ever even managed to see a Sonic amiibo in person??? Because he and practically every other amiibo (besides the Pokémon for whatever reason) unlock an alternate costume for yarny Yoshi in Yoshi's Woolly World. There he is! Pretty adorable, right? Right. A more in-depth look at the game's amiibo functionality can be seen in the video here. Sega is continuing their 3D Classics line and they're bringin' some heavy hitters. They recently announced on their blog Sonic the Hedgehog 2 will be getting the 3D treatment, along with Streets of Rage 2 and Gunstar Heroes. Helluva lineup there. These ports are likely still being worked on by M2, who have been doing a fantastic job with the series, bringing an accurate representation of the original games plus a plethora of bonus options. All while painstakingly bringing these 2D games into 3D bit by bit. They're pretty much the best in the biz when it comes to handling classic games and their passion really shows in their projects. Just read their interviews about the development of each game to see for yourself. 3D Sonic the Hedgehog 2 is set to release this September. No April Fools jokes this year. Couldn't come up with anything. (It's hard!) I don't think there was anything last year either. There was also going to be an Elise HQ. Consider yourselves spared.